Are you a farmer struggling with productivity, profitability and sustainability? Cultivation of plantain could prove to be a success wand that may reward your years of fruitless toiling. Plantain cultivation is one of the simplest and most rewarding farming activities in Nigeria. Or are you a new enthusiast who is uncertain about which crop to cultivate with minimum capital; who is interested, perhaps, in low risk farming activities and who desires a guaranteed income? You may need to try planting plantain. The crop grows best in moisture-rich tropical climates. The flowers develop into a bunch of plantain, which holds about five to 15 strands of the fruits. Plantains do not have a growing season and are, therefore, available year-round, especially on irrigated farmland. This makes them a reliable food source. Many farmers might have tried and failed, but with the necessary requirements in place, plantain cultivation business can prove to be very lucrative and easy to start-up. It is equally done in an integrated system. Requirements of successful plantain farming include improved varieties of planting materials called suckers; soil fertility; planting spacing know-how; manure application, and most importantly, water application. Like rice and sugarcane, plantain is a water-loving crop, and dehydration of the crop induces stunting, poor fruiting and susceptibility to drought and wasting. If a farmer wants good returns on his investments, he should be ready to work on a big farm in the forest ecologies, where rainfalls per annum are very high. This simply means that the environment should not be dry. The crops can be planted throughout the rainy season, but planting in the middle of the rainy season is a better option because that way, one would be able to produce plantain off-season with irrigation, and sell at higher prices. Certain states are more favourable to plantain cultivation in Nigeria, and they include all states in the South-East, South-South and South-West geo-political zones. Some parts of Kwara, Kogi, Niger, Adamawa, Nasarawa, Taraba and Zamfara could also grow plantain. Proper clearing of the land is needed to avoid weed infestation. Plantains always need extra nutrient if you want to get the best quality and manure or ash from wood fires can help in achieving this goal. For weed control, one can decide to use herbicides or make use of manual labour and it is to be done every six to eight weeks at the early stage. Weed infestation declines after five to six months due to shading. It is important to use loamy soil, as it contains very good organic matters. Poultry compost manure, cow dung and pig excreta could be generously spread on the plantation to enrich the land and get a bumper harvest. On pest or disease control, there are various ways, including cultural practices, mechanical and physical control, biological control and chemical control. The crops are to be protected from diseases because they are very harmful to them. A plantain farmer is expected to uproot the suckers from other plantain crops or buy and transplant to his farm. After transplanting the suckers, he should water them daily until the rainy period sets in fully. Semeton Amosu, a research officer in the Soil Health, Pomology and GIS Applications Unit, Fruits and Spices Department, National Horticultural Research Institute (NIHORT), Ibadan, while briefing The Guardian on best practices in plantain cultivation, said plantain population per hectare is 1,667 and per acre is 667, and spacing is 3m X 2m; 3m between the rows and 2m within the row. He added that harvesting starts approximately 12 months after planting or transplanting, but it could be shorter, depending on agronomical practices used during the growing period. Water is also very important during the dry season, and there are improved varieties which were bred for disease resistance and low sugar content. From the foregoing, at least 1,667 suckers would be planted on one hectare of land. A plantain roaster in Lagos who preferred anonymity disclosed to The Guardian that she bought six bunches of plantain at the rate of N7,000, depending on the size of the bunch. Assuming a farmer could harvest 1,500 bunches at the end of one year, and could sell each at N1000. The total sale would be N1.5 million. The farmer could also sell plantain suckers as planting materials to other farmers. 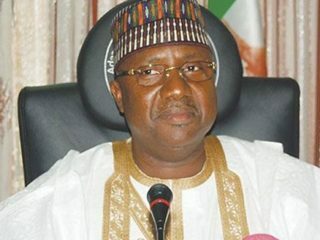 Each grown up plant would produce a minimum of three suckers, and if he could harvest one sucker from each and could sell at N100, the farmer would make additional N150,000. The harvest cycles continue for a minimum of four to six years, or more, depending on land rejuvenation system and farm maintenance practices. The initial capital invested, including land clearing, planting labour and cost of suckers should not exceed N300,000, provided he has the land prior to cultivation. One of the ancillary agri-businesses done with plantain cultivation is fish farming. This is a perfect way of resource maximization, where water released from fish ponds would irrigate the farm regularly, especially in the dry season. This way, cost of irrigating the plantain farm is zero, for it becomes a collateral advantage to the farm. Snail farming, also known as helliculture, is another farming that could go with plantain and fish farming in an integrated smart farm. Snails and plantains flourish in moisture-rich environment, and waste water from fish ponds would serve the purposes of creating irrigation for the crops and providing moisture for snails to grow well. From the experiment of IITA, a strand of mature plantain could be used to generate several suckers. This is done by preparing a nursery, covered with sawdust and sand, and the strand of plantain buried in the bed. After about three weeks of wetting, the seeds in the strand would begin to grow. Multiple suckers could be harvested and sold to other farmers. What a smart and integrated way of farming! Plantain marketing is one of the simplest because the fruit can serve multiple purposes. This means that a lot of individuals, homes and restaurants buy plantain for separate uses. With this fact, it is only natural to constantly have a very high rate of demand for plantain. 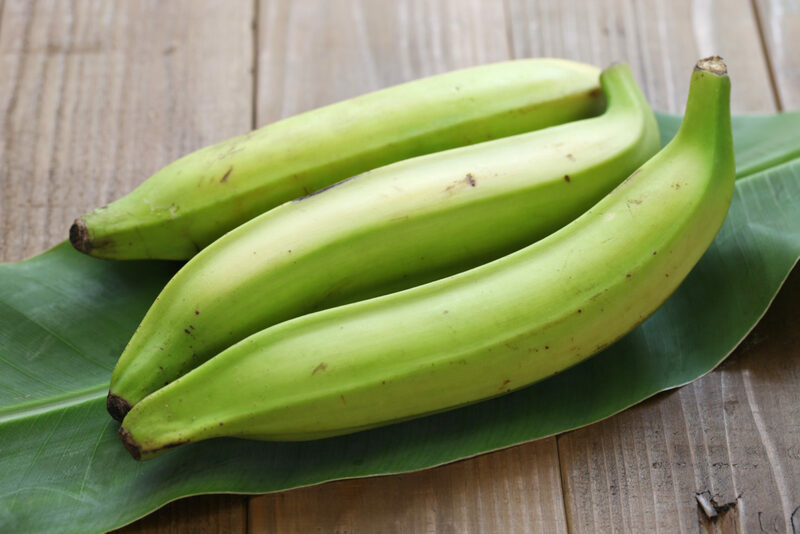 For instance, unripe plantain can be processed and prepared in various ways. It is roasted and eaten with groundnuts. The ripe one is fried as chips (dodo) eaten with rice or beans. Some people process unripe plantain into powder after sun-drying, used in preparing amala among the Yorubas. Crunchy chips are made from plantain and sold even in the streets of Lagos. Some people, after peeling the unripe plantain, blend it with a little quantity of water and when it is properly squashed, put it on fire and stir continuously until it thickens. This paste is taken with favorite soups and it is believed to be medicinal, especially to diabetics. Therefore, selling plantain is one of the easiest things to do.